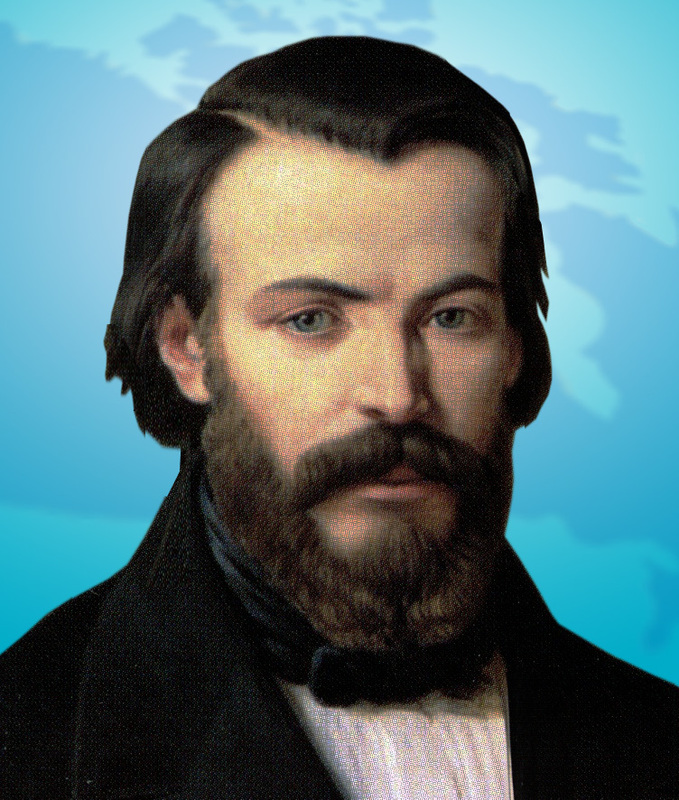 Antoine Frederic Ozanam, a lawyer, and then a professor of literature at the Sorbonne in Paris, was one of the most important influences on the Catholic Church in mid-19th-century France. It was a period when the Church was still struggling to reassert itself in the face of the bitter anti-clericalism fostered by the French Revolution. Ozanam argued that, whatever its shortcomings, the Church had none-the-less been an overwhelming force for good in the shaping of medieval and modern Europe. Yet he also recognized that it had to adapt if it was to have meaning in an increasingly industrialized world. He was a staunch advocate of papal authority. In 1833, at age 20, he was a co-founder of the Society of St. Vincent de Paul, an organization dedicated to tackling poverty and want. Ozanam’s health was frail throughout his life. He died of consumption at age 40 on his return from Italy, which he had visited in the hope that its climate would help him counteract the illness. 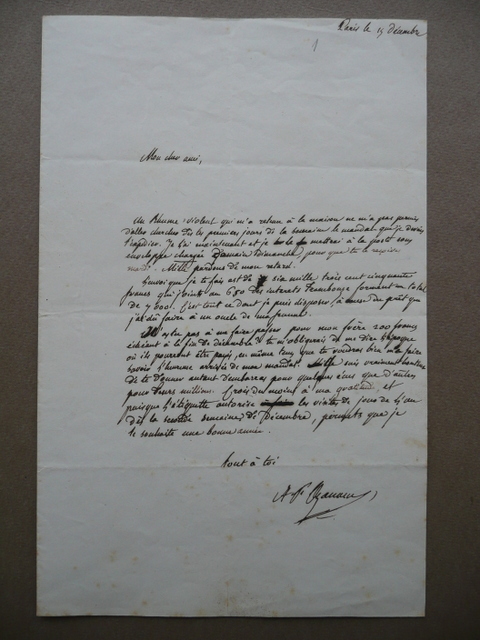 The artifact is a letter, written in Paris, and dated December 15, 1849. 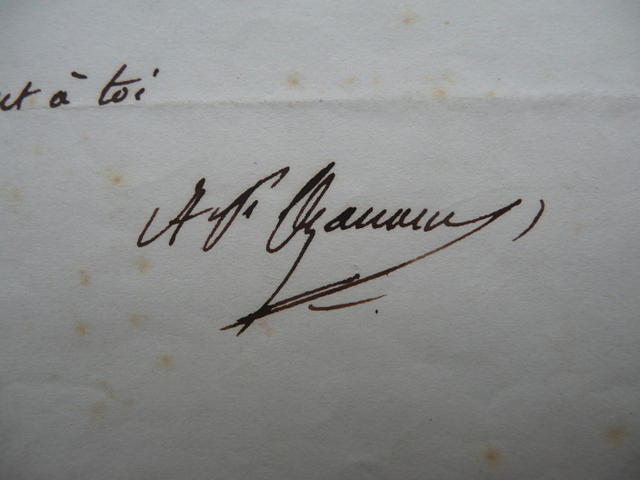 It was hand written in French and signed by Antoine Frederic Ozanam. 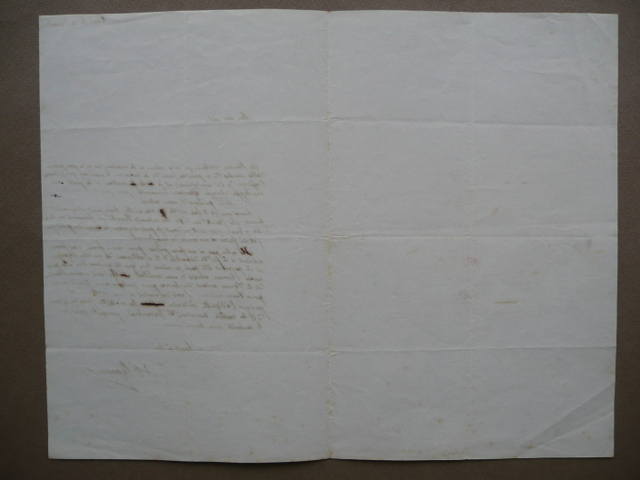 The text is twenty lines and the letter itself measures 21 X 13.5 cm. 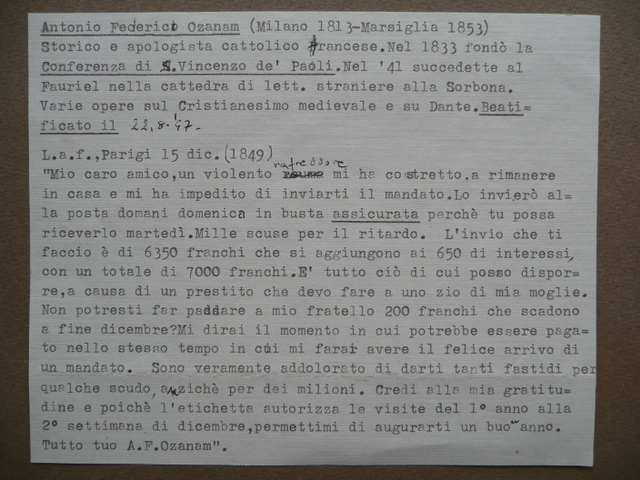 Included with the letter is a typewritten short biography and an Italian translation of the letter and a photo of Ozanam from 1833.